xMSP students and MSI staff mentors tackle a patch of Oxeye daisies on the Telluride Valley Floor. On a cloudy July afternoon, six high school interns and three MSI mentors crawled through swampy willow thickets, searching out every single Oxeye daisy they could find along the Animas River. Our afternoon efforts to keep weeds away from the recently restored Lackawanna Mill Site quickly became a relentless hunt to remove noxious plants from their local ecosystems. And the weeds were just the beginning: over the next two weeks, interns planted 200 sedge seedlings at a wetland restoration project, identified macroinvertebrates in the San Miguel River, and marked beetle-infected trees near Vallecito Reservoir. Through it all, they never stopped scanning for weeds. At the end of xMSP, each student reflected upon their most experience in articles they wrote for area newspapers. One Norwood student tried to detail his weedy obsession, but ended up explaining the inspiration for all the work we do at MSI. "Although making even the smallest dent in a population of oxeye daisies is incredibly tedious, it is the effort that is needed to control the noxious weed. By pulling one flower, one is actually keeping thousands of its seeds from entering the seed bank. It is this knowledge that creates the motivation for me. Our environment is filled with enormous issues that can seems endless and unwinnable. Problems such as conservation and climate change can seem distant— as if no one person can do anything to contribute. But in reality, the hardest part is understanding that you can do something to help. Get out there and remove a few invasives if you want to help. The satisfaction is there." 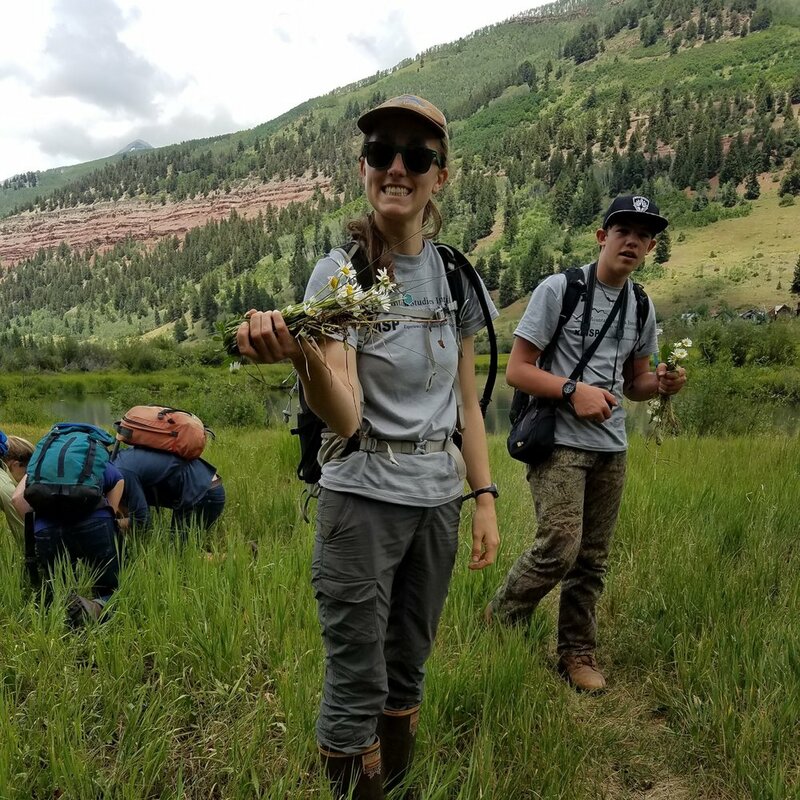 "The Tedious Task of Controlling the Oxeye"
"Student Voices: Exploring the San Juan Mountains During Science Camp"
"Interns Learn About Science, State at Mountain Studies Institute"